How to Save Whatsapp Status to Phone Gallery – welcome to welytech tutorial hub. We will be discussing How to how to save what status image. Many have tried to save others whatsapp status but couldn’t work. Have seen a picture that you like on someone status wondering of a way to save the picture. Don’t worry this tutorial will break the gab and you will learn How to Save Whatsapp Status to Phone Gallery at ease. See methods below. This tutorial cover two methods, choose one that suits you. Open you gallery to see saved status. 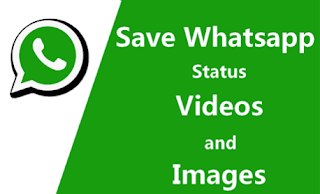 Download this app that allows you to save whatsapp status images by one click on your mobile. Note that you can still use same method for to save whatsapp status image on iphone, blackberry, android phones and others mobile.